January 2019 marks the 50th anniversary of the Beatles’ final live public performance, which took place on a rooftop in London’s Savile Row. To celebrate the occasion we tell the Fab Four’s story through the sites that played a pivotal role in their stellar career. It was the closing year of a remarkable decade. Four young men from Liverpool performed an impromptu gig on a rooftop in London’s Savile Row. They had been playing together since they were kids and now – still in their twenties – they faced the winter temperatures to showcase new material to unsuspecting passers-by. No one knew it at the time, but it would be the last time the band performed together in public. Just seven years before, in 1962, the Beatles released their first single, Love Me Do, which reached the modest position of number 17 in the UK singles chart. By 1969 the band were megastars, producing a string of records that changed the face of pop music forever. They had gone from bequiffed working class rock and roll fans to long haired Rolls Royce-riding celebrities in less than a decade, making millions in the process. They had also set up in business, launching Apple Corps in 1968. The four musicians now had a company to run, with interests in music, publishing, electronics and retail, and it was on the top of the company’s headquarters that they performed on that day in January 1969. They played their short set a couple of times through (the concert was being recorded and filmed, and would be released as part of the documentary Let It Be), performing John Lennon’s ode to Yoko Ono, Don’t Let Me Down, and future number one hit Get Back. It was during this latter song that the police arrived and, in a very British manner, told them to turn the noise down. 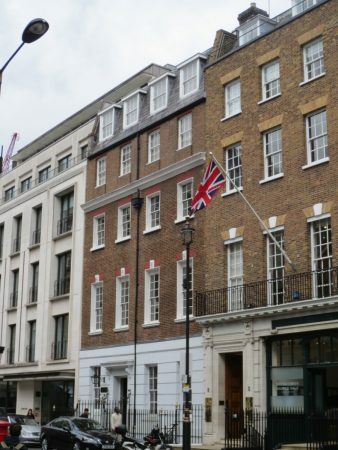 The Savile Row office was the last of the Beatles’ many notable London hangouts. They might have been northern lads through-and-through, but it was in the capital that the band reached the apogee of their success. If London felt like the centre of the world in the 1960s, it was in no small part due to the Beatles, who had moved there in 1963, along with their Liverpool entourage, including manager Brian Epstein. London was the city where Beatlemania first erupted, with crowds of young women squealing outside the Palladium after the band’s 1963 performance. The moptops also socialised in London, knocking around with the Rolling Stones at the Ad Lib club at Mason’s Yard – the spiritual centre of Swinging London. And it was in London that John Lennon finally announced to his bandmates that he wanted a ‘divorce’. This occurred in September 1969, eight months after the rooftop concert. It was truly the end of an era. Savile Row, synonymous with male couture since the 19th century, had long been the place where dukes, bishops and generals got fitted for dinner suits, and the appearance of the scruffy Beatles must have seemed a harsh contrast. Apple Records represented a newfound freedom for the Fab Four, allowing them some distance from ‘the men in suits’ and their attendant bad vibes. With the group now running the show, the company released albums like The Beatles (also known as ‘The White Album’), Abbey Road and Let it Be, as well as records by James Taylor and Mary Hopkins, amongst others. When they turned up for their first recording at EMI’s Abbey Road Studios in 1962, the Beatles were little known outside of Liverpool and Hamburg, Germany, where they played as the resident band in some of the clubs on the Reeperbahn. It was at the recording studios in St John’s Wood that they met the neat, mild-mannered record producer George Martin, forming a relationship that would last the entirety of the band’s recording career. The studio became something of a home from home for the group, and as techniques became more advanced, albums would take weeks to produce rather than just a few hours, which, at the time, was the norm. So important was the studio that the band named their penultimate album in honour of it, adorning the cover with a photo of the Beatles traversing the Abbey Road zebra crossing, which you can visit to this day. 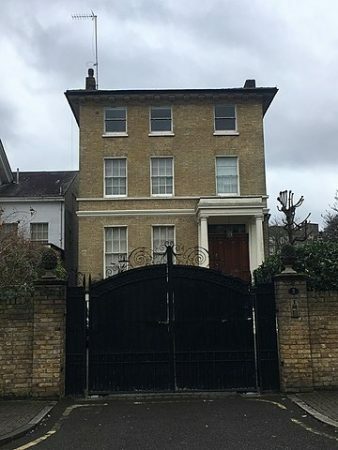 While the other band members were buying mansions in an area of Surrey known as the ‘stockbroker belt’, in 1965 Paul McCartney purchased a three-storey Regency townhouse less than a 10-minute-walk from Abbey Road Studios. Back in the day, fans would camp outside the house, waiting for their favourite Beatle to appear from behind the tall gates. McCartney was often seen with his sheepdog Martha, even letting some of his devotees walk the pooch. 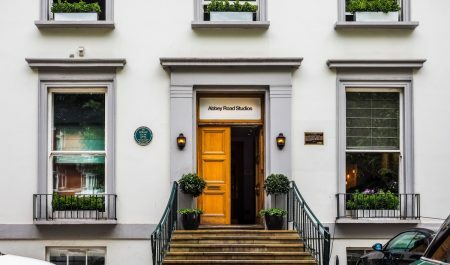 The house is still owned by Sir Paul, and he uses it as his London hangout when in town; that is, when he’s not at one of his other residences in New York, Los Angeles, Arizona and Sussex. 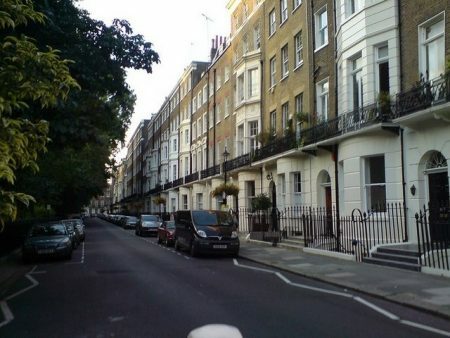 The Beatles’ drummer Ringo Starr moved to a flat in Montagu Square a couple of years after transferring from Liverpool to London. He was soon renting it out to band members and other celebrities, including guitarist Jimi Hendrix. Today there’s a blue plaque on the building commemorating John Lennon staying there with Yoko Ono. It was here that John and Yoko were busted by the police for possession of marijuana in 1968. 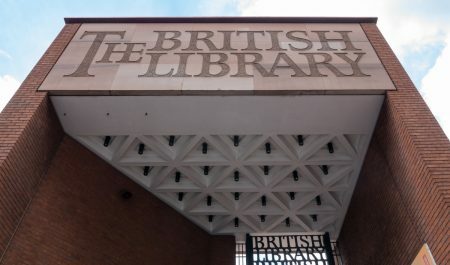 The Sir John Ritblat Treasures of the British Library Gallery includes some truly fab Beatles memorabilia. There are the handwritten lyrics for Yesterday, neatly penned by Paul McCartney, as well as John Lennon’s lyrics for A Hard Day’s Night, scrawled onto the back of a birthday card. The two items offer a useful contrast between John’s impulsive expression and Paul’s rather more considered approach.